MIni CCD cameras get hot. Although it's normal and does not require any heat sinks, it's recommended for an installation in a confined space. 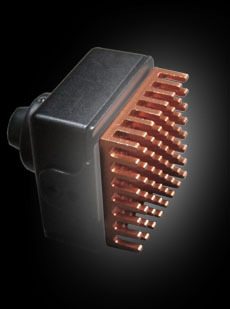 Our Copper Heat Sink for Mni Cameras is a very useful product. Are you interested in this Copper Heat Sink for Mini Cameras / Accessories but not sure what's required for setup, how it works or you just have a general inquiry? Chat with one of our Accessories Specialists.